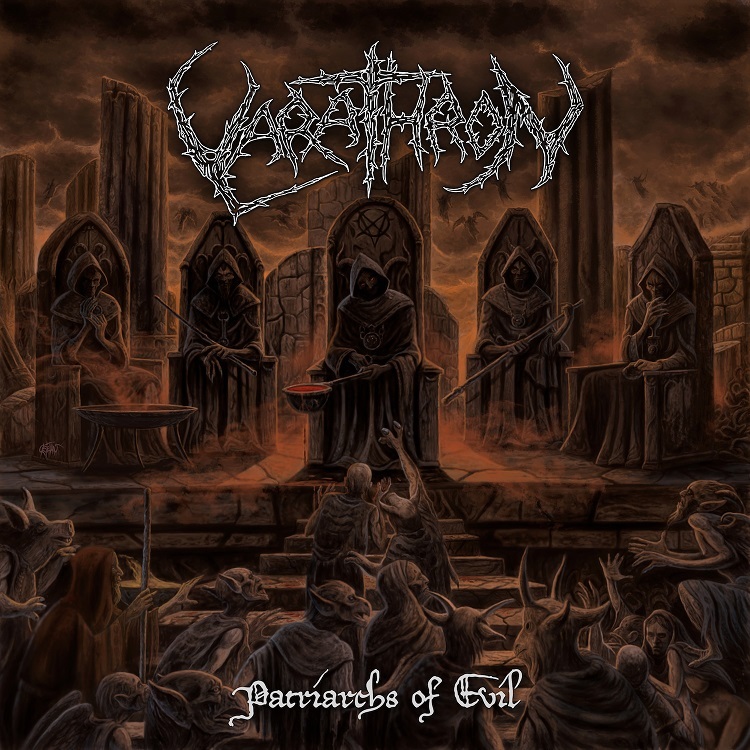 Co-founded in 1988 by Stefan Necroabyssious, the band's vocalist and sole original member, VARATHRON has been on a steady release schedule since 2004's "Crowsreign". The latter album introduced Haris (drums) and Achilleas C. (guitars) to the band, who were later joined by Sotiris (guitars) and Stratos (bass). Together, they established a new, well-bonded line-up of an already established Hellenic black metal act, considered as one of the forefathers of the genre, next to Rotting Christ and Necromantia. "Varathron are proudly spreading the mediterranean plague since 1988! 30 years have passed and we continue to worship darkness and preach the unholy word! 'Patriarchs of Evil' is not just a new album, it is a celebration and one of our greatest creations. Behold the 8 hymns!". "Patriarchs Of Evil" was recorded, mixed and mastered over the course of 2017 by Achilleas Kalantzis (aka Achilleas C.) at Crown Audio Conspiracies, except for drums which were recorded at Infinite Loop Music Studio. Both studios are based in VARATHRON's hometown of Ioannina, Greece. The album's artwork and layout were designed by Juanjo Castellano. New band photos were taken by Evi Savva. - Digipack CD with slipcase and 16 pages booklet. - Picture disc gatefold LP (with insert, patch and poster) limit. to 200 handnumbered copies. - Yellow with black splatter gatefold LP (with insert, patch and poster) limit. to 125 handnumbered copies. - "30 years" zipper hoodie.